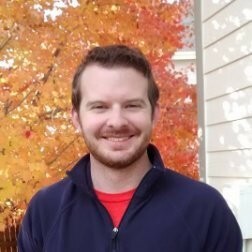 This guest blog is by ELGL member Matt Hirschinger, the Assistant to the Town Manager in Hudson, Colorado. My name is Matt Hirschinger, and I could serve as a poster child for privilege in the U.S. (more on this below). Privilege is a very weighted, powerful word today. It is a way in which we define equity (or the lack thereof), but there is also a great deal of unease about the term privilege. The typical example we come across is when person A points out person B’s privilege, and person B gets defensive and shuts down, thus ending the conversation. However, even in diversity trainings, seminars, and discussions filled only with those people who already accept the reality of inequality, who want to make a positive difference for those with disadvantages, so often we see privilege appear to be a mark of shame and guilt. Admitting one’s own privilege can be a difficult, apologetic ordeal. It is well intended, but I am not sure how much that guilt can be used to push for a more equitable, diversified local government. Here are six steps I’ve found to be effective in identifying and engaging with our own privilege. For me, I fell under 18 of the 22 privileged categories, and the other four are still within reach. I’m not in my late 30’s (yet), I’m not married (but I’m engaged with a date set for later this year), no kids (yet), and I did not grow up with religion (but my fiancé did, and I’m open to learning more). Finding tools like this sheet (and there are many) can help point out privileges both obvious and subtle, both external and internal. Once we’ve identified our privileges, it then leads us to the question of who we are privileged compared to? A good place to start is with a clear, easy-to-comprehend, palatable comparison with no self-doubt. For me, it’s the homeless family I passed by daily when I was serving in the U.S. Peace Corps and was spending a third year in Manila. This family slept on a flattened cardboard box by a small river filled with trash. It is clear, it is easy to comprehend, it brings no self-doubt to say I have privileges compared to them. It will be different for each of us whether it’s a family member, friend, or strangers we pass by. “I am a good person”. “I strive to learn.” “I have earned my job through my own merit.” The third, longest, and most difficult step is to adjust our self-identity using the previous two steps. I’ve worked hard for my job, AND I’ve had a lot of luck, help, and other things to get me here too.” We are each different, it is to each of us to know what parts of our own self-identity match the realities of privilege, and which need fine-tuning. This will help ease the potential of guilt, to prevent discussions of our own privilege from wounding our self-identity. A very strong piece of advice I received when taking the same training I got the 22 types-of-privilege list was that as a white, straight, male, etc. I will put others at ease during diversity trainings, seminars, discussions and the like by stating I recognize my own privileges. In practice it is a way I can show that I will listen, I won’t get defensive, I won’t derail things by making it all about me. It lets others, in turn, be open with their thoughts. This admission must be genuine though, which is why I recommend the other three steps first. As with anything else, the more we practice, the more we get comfortable with what we’re doing. The more I’ve practiced identifying, coming to terms with, and expressing my own privileges, the easier and more effective it becomes (hint: this blog post is more practice for me). If we can get to a place where we’re comfortable with our own privilege and can discuss it professionally and effectively, the final step is to find an alternative for that energy that used to go into our self-doubts and guilt. “Use your privilege to help others” is a common theme we find in how to make equity happen, and I believe it holds true. In my case, I’m looking at a second Masters in Humanities with a Social Justice track, to use my own frustrations towards learning more, becoming better informed, and then hopefully making even more of a difference tomorrow than I am today. It’s up to each of us to figure out where our own energy can be spent.